Whatever you wish to experience, you can be sure that Rajasthan will surpass all your expectations. And what better way to visit this unique state than by rent a car in Udaipur Rajasthan. We at Udaipur Car Hire have a wide variety of vehicles in our fleet from Budget Cars to luxury sedans. Innova, Tempo Travellers, Buses, and Coaches are available to meet the needs of tour groups of different sizes. All our vehicles have trained chauffeurs who converse in English, uniformed, punctual, courteous, unobtrusive and have in-depth knowledge of the region. All our vehicles are in perfect condition and are equipped with the right tools, spares, and first-aid kits. You can choose from air-conditioned and non air-conditioned vehicles depending on your preference. Udaipur city of dawn is a lovely land around the blue water lake hemmed in by the lush hills of Aravallis. A vision in the white drenched and beauty, Udaipur is a fascinating blend of sights, sound and experiences and inspiration for the imagination of poets, painters and writers. Aareman Travels Car Rental is the most desirable and favorite travel partners and its services are widely used for booking cabs in Udaipur and also for other destinations. Aareman Travels is a user-friendly portal that enables you to complete the booking for Cab Service in Udaipur in just a few clicks. It provides many options to its customers to choose from their favorite car models based on their requirement and pocket size. Through , it is simple and fast for the customers to book Taxi in Udaipur. Till some time back, hiring a cab was a real struggle as the customer had to negotiate for reasonable fares and services with the local operators. Through Aaremantravels.com, services. Aareman travels is the most reliable car rental company in Rajasthan offering Aareman travels We offer a wide array of cars in various categories to suit the needs of your travel group and budget. Our impeccably maintained fleet contains a diverse range of four-wheelers from budget hatchbacks to luxury sedans, from compact drives to large coaches and buses. Our experience and expertise make us one of the premium Taxi Rental Services in Udaipur and the rest of Rajasthan. We are a fully, licensed and insured Aareman Travels service provider approved by the Government of Rajasthan. Sit back and enjoy all that Rajasthan has to offer, while we drive you to your desired locations. No more haggling with local taxi drivers! No more visiting places you Aareman Travels offers you fully customisable packages to help you create the trip of your lifetime! Call us to experience the vibrant colors and dynamic culture of udaipur Rajasthan. Aareman Travels Udaipur cabs & Taxi is Tour operator agency based at udaipur, Rajasthan (India). A team of highly qualified professionals with a vast experience of more than twenty years in the travel industry. We believe in creating a network with a strong public relation, right commitments and timely deliveries. Witness royalty, culture and the magnificent history of India by visiting the largest state in the country, Royal Rajasthan. With Aravallis, the oldest mountain ranges in the country, providing a scenic backdrop, the landscape of Rajasthan has something to offer for all travelers. Whatever you wish to experience, you can be sure that Udaipur will surpass all your expectations. And what better way to visit this unique state than by? We at Udaipur, Rajasthan Car Hire have a wide variety of vehicles in our fleet from Budget Cars to luxury sedans. Swift Dzire, Toyota Etios, Innova, Tempo Travellers, Buses, and Coaches are available to meet the needs of tour groups of different sizes. All our vehicles have trained Aareman Travels who converse in English, uniformed, punctual, courteous, unobtrusive and have in-depth knowledge of the region. All our vehicles are in perfect condition and are equipped with the right tools, spares, and first-aid kits. You can choose from air-conditioned and non air-conditioned vehicles depending on your preference. We have all types oflike Innova Etios Indigo Dezire Tempo traveller and many luxury cars and Ac coaches.We offers cheapest taxi service in udaipur for all above given vehicles. We have lots of tour packages are one of them. It gives you everything what you really need during your visit Aareman Travels provide online booking Innova Crysta Ac Carits suitable for 5+1 persons easily. Innova Crysta Car Hire booking online from delhi to Others City tour packages. We Offers Ac and Non Ac Innova Crysta Taxi. Innova Crysta Taxi is best for family tour packages, Booking on Same Day tour from Udaipur tour Packages. innova Aareman travels – Innova Crysta is another greatly designed MPV (Multi-purpose vehicle) from the house of famous Japanese automaker – Toyota. Crystal feels and looks more premium compared to cars in the same segment. This all new Toyota Innova model has improved styling, automatic transmission, enhanced feature list and more power. Some of the major features in this vehicle are rectangular double-barrel headlamps, 2.5-litre turbo-diesel engine, air conditioner, heater, cruise control, dual front airbags, knee airbags, 4.2-inch TFT Multi-Information Display, 7-inch touch-screen system with DVD player, dedicated AC vents for the second and third row. This new Innova makes a statement with its style. The eye-catching front grille gives an impressive and imposing look. Sporty side molding and bold alloy wheels give a sporty fun to every ride. While the wood finish steering wheel and leather seat covers are the hallmark of stylish interiors. Aareman travels is a leading car rental service provider in Udaipur, Aareman travels offer Innova Crysta car rental services for railway station,udaipur airport transfers and pick drop taxi service at reliable taxi fare. Cheapest price. This is by far one of the most preferred options if you are traveling in a big group. 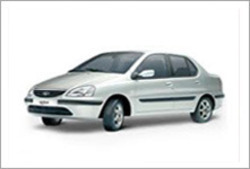 The car rental services are many as far as udaipur is concerned. There are a lot of recognized car rental services with genuine customer reviews on various reputed travel websites. Udaipur is a destination that you want to explore on your own will and at your own comfort. It can take you up to 15 days to cover probably the whole of Udaipur or parts of it. For that, you need a vehicle that suits your need to travel. Public transport like taxis, buses is also an option but that would only be a hindrance in your zest for exploration. if you want to rent a private way of transport. Aareman cabs are always available. We have highly skilled professional drivers with clean driving history. They are the real professionals who take care care of your full comfort and also your loved once. Aareman Travels is working 24 hours in whole region. The special night drivers of our team are highly trained in all type of weathers. We believe that safety and comfort comes first. Aareman Travels is the number 1 taxi service and car rental agency in the Udaipur. Weather you are looking for a regular taxi or a weeding car or a tempo traveler we have everything. Car rentals Services in Udaipur is now easier because we provide cabs from various cab operators in Udaipur at competitive rates. These vendors provide 4 seat as well as 6 seat cabs with and without AC. We invite you to visit Aaremantravels.com and avail the car rental service in Udaipur for best rates and service quality. Taxi Service in Udaipur provide all kind of taxies for oneway and round trip like Etios, Swift Dzire, Innova Etc. Aareman Travels has been serving its customers with affordable car hire services . It has been rated as one of the best car rental agency in Udaipur City, providing commendable and comfortable taxi hire service in all India.We are easily accessible to our clients, through call or e-mail; our chauffeur will be at your doorstep within Half Hour after the booking. We make our clients to save their precious money and time through online car booking service. Thus, feel the difference being the part of the best car rental service in Udaipur. In the large and overly populated Indian cities where there are so many trains, subways, highways, community transportation facilities, you may not feel the need to own your own vehicle. For the regular commute, using public transportation is a perfect option but what when you go for a family vacation? You need a chauffeur-driven car for a sightseeing tour, to travel inside the city with friends and family. Aarenman Travels is a premier Car Rental company and the best Cab Hire service provider in Udaipur . We are the leading online car service aggregator providing reliable local car rental and outstation car service facility. Even those who own a car require Car on Rent service at some point. This may be for they don’t want to drive a car or don’t want to undergo the hassle of parking the car. Rent a car from us for we offer the finest on-road service and also outstanding driver service. If you are planning a family vacation or a weekend getaway with your partner, then choose us for Online Cab booking. With the outstation taxi and cab service, you may explore some of the best tourist spots and check out the must-visit places. Our cabs can also stop mid-way if you want to enjoy refreshments at a restaurant or anywhere. There isn’t any need to worry about bus stops, travel schedule or the taxi rates. Just improvise your time to explore the new destination. Rent a car on an emergency basis from Aareman Travels as we don’t charge anything extra. It is true that you can find a car rental office as soon as you arrive at the airport but then you have to stand in a long queue waiting for your turn to come. Using a public bus is again cheap but it may be uncomfortable to travel in it when you have children and luggage with you. Besides, the bus stop may be far away from the hotel. So, don’t waste time and choose Travelocar for Online Car Rental Service. We believe in providing prompt and hassle free services to the customers for a good return and complete customer satisfaction. We believe in keeping our pledge towards quality and transparency. We endeavor to follow our determined growth plans with enthusiasm, modernism and on top of all strong long-term association with our customers. We ensure quality developments of schemes and timely delivery of service. Our system has evolved as a response to its commitment towards customer satisfaction by identifying present and future requirements with a new proposition for our clients with different offers. When it comes to finding a cheap and efficient cab rental service in anywhere in udaipur , you need look no further than Aareman travels. With your family and friends, experience top tourist destinations in India, in our rental cars. Get ready for a road trip with Aareman Travels We provide affordable and top quality Taxi Service in Udaipur. With a wide range of AC and non-AC vehicles at unbeatable rates, suitable for all types of travel, we have you covered for car rental across udaipur. We have cars that best suit your needs, whether you’re looking for a small car for a weekend getaway or a spacious vehicle for a family holiday. No matter where you need to go, at any time of day, our cabs are at your service. Aareman Travels is a customer centric car rental solution provider. We provide end-to-end service in car rental field; with future plans of diversifying into the largest car rental service provider, project financing etc. With a mix of industry experts and a team of talented young and dynamic individuals, our team brings highest value to customers. We have a team of experts and professionals personalities which will always give surety about safety and comfort of the customer. In, AaremanTravels we have expert drivers that are trained in all aspects of customer care and safety, also fully licensed to meet with Local Authority operating criteria. We are top taxi provider in Udaipur and organize all your social, personal and corporate travel requirements. When your next journey needs to be arranged, for successful completion is only a telephone call away. The core team of Aareman Travels has a successful and rich experience. Aareman Travels is a trading name of Online Car Rental Company which emerges as a first choice for the travelers. Aareman Travels provides safe, reliable and comfortable Taxi Services. All vehicles of Aareman Travels are new, fully cleaned and well maintained to provide you a hassle free trip. The choice of taxi encompasses everything that a customer required from hatchback to luxury vehicles like Innova, Honda City, , and many others with including even minibuses & travelers. Our aim is to deliver what you need including neat & clean taxi, professionalized drivers, unbeatable lowest price and 24×7 customer support service. Our representative are always ready to meet your needs. Our personalized service makes us one of the leading Car Rental Company across the country. We always aim at providing the best Taxi Service to our customers as we believe in making long term relationship with our customers. Aareman Travels in Udaipur has a wide range of products and services to cater to the varied requirements of their customers. The staff at this establishment are courteous and prompt at providing any assistance. They readily answer any queries or questions that you may have. Pay for the product or service with ease by using any of the available modes of payment, such as Cash. Offering car rental services, Aareman Travels in Udaipur, this agency has been in the business of offering cars on rent. This venture aims to offer individuals as well as corporates with superlative car hire services. Over time this firm has made a mark in the self-drive car rental segment. This establishment has provided impeccable services to a large number of customers. This professionally managed organisation believes in offering quality services at reasonable price points. It is taking conscientious strides at achieving customer satisfaction through maintaining impeccable standards in their service offerings. Where we always proven the best quality service at a very economic rates. And by proving a healthy environment to the customers and clients. Aareman Travels takes pride in building strategic long-term client and customer relationships. 50 % of our revenues come from existing customers and corporate clients. We ensure that you receive the business value you were promised. Beyond transformation and innovation, it boils down to execution – delivering on time, on budget and “on value”. We optimize core operations to drive best-in-class efficiency and help the transformation and innovation. We strive relentlessly, constantly improve ourselves, our teams, our services and products to become the best in the Udaipur.